If you are experiencing financial difficulties and hardship, you owe it to yourself and your family to learn about all of your financial and legal options from experienced professionals. FINANCIAL PROBLEMS ?...WE CAN HELP ! 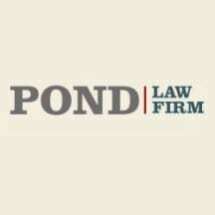 At Pond Law Firm, we understand that banks, mortgage companies, finance companies, credit card companies, hospitals, bill collectors and other lenders often act unreasonably when situations beyond your control cause you to fall behind. Many times all that you may need is a little time to get caught up and back on your feet again. If your creditors are threatening foreclosure, repossession, wage garnishment, legal action...or calling day and night... WE CAN HELP ! Call our office today at 601-948-4878 for a FREE initial consultation or contact us through this website. Please be advised that the information provided on this website is very general in nature and should not be considered "legal advice" regarding your particular financial situation. Furthermore, use of the "Free Bankruptcy Evaluation" and/or the "Debt Test" provided on this website do not establish an attorney-client relationship between us.